Zoobilation is one of my favorite annual events in the Circle City. I'm not alone in that sentiment - tickets to the state's largest black tie fundraiser always sell out within a day or two of going on sale February 1 of each year. 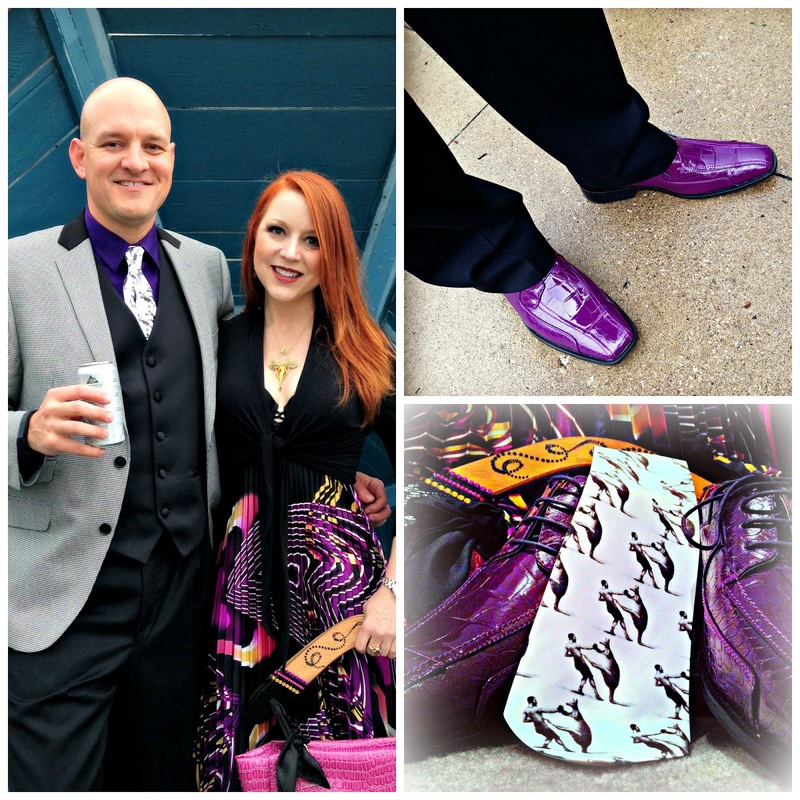 It's described on its Facebook page as a "black-tie, outdoor dining event" that raises money to support the care of the zoo's animals and plants. It features fine food from more than 50 local restaurants; open bars; a DJ; and live music on multiple stages throughout the venue. The event is so much fun that attendees line up to buy tickets regardless of personal philanthropic priorities. We had friends in from Russia and the UK last week, so I was excited to share this quintessentially Indy experience with them. It did not disappoint and, as usual, we were among the last wave of guests to leave when the bands stopped playing at midnight. Although billed as black tie, Zoobilation lacks the stuffy air of the typical tuxedoed event. The outdoor location combined with a changing annual theme encourages guests to push the limits of formality and sometimes abandon it altogether in favor of full-on themed attire and/or a smidge of kitsch. As a result, many revelers take advantage of the opportunity to highlight their creativity and personal style. It's the one night of the year when the "human peacocks" roaming the zoo are at least as much fun to watch as the animals that are the typical focus of a visit. 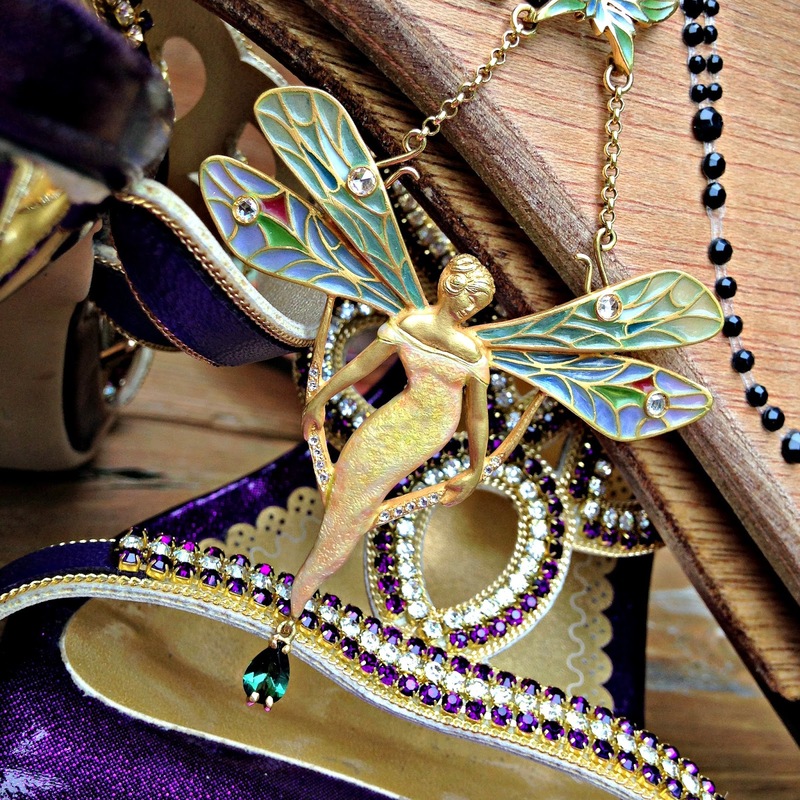 The graphic design on the dress reminded me of boomerangs; I knew wearing heels was a risk, but I couldn't resist these Crystal shoes in "Grape" (Littleboutique, Amazon). This year's event was a "Boomerang Bash" in celebration of a new koala exhibit. I spent 3 months working in Australia several years ago and to this day it remains my favorite place on Earth, so I was definitely down with the Down Under theme. I knew there would be plenty of Crocodile Dundee and Crocodile Hunter inspired bush gear on display, but I settled on this bold satin pleated dress because the graphic undulating design reminded me of boomerangs. My friend Tony took the theme to a whole other level, though, with his creative idea to incorporate actual boomerangs into the look. Together we created the "Zoomerang Bag" - custom designed and locally fabricated handbags featuring boomerang handles! 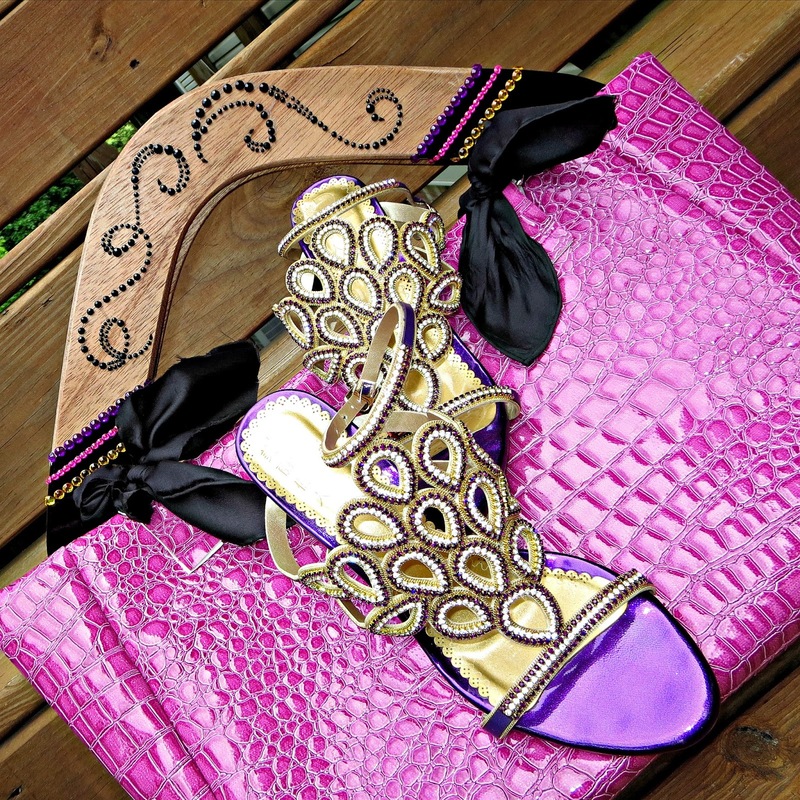 Tony found the perfect faux crocodile to coordinate with the bright colors in my dress, and I bedazzled the boomerang handles with small crystals in black, fuschia, purple, and topaz. Tony is the chief buyer for Enza's, a family-owned and operated jewel box of a boutique in the Chamber of Commerce Building just a few blocks north of Monument Circle. This well-curated, time tested store may be a hidden gem, but those who discover it are loyalists. Tony has a keen eye and I have more than one friend who relies on him to make special event wardrobe selections for them sight unseen. Of course, I'm much more hands on, and Tony knows I enjoy helping others discover their own personal style as much as he does. So, I was both flattered and ecstatic when he invited me to breakfast to pitch our Zoobilation collaboration. 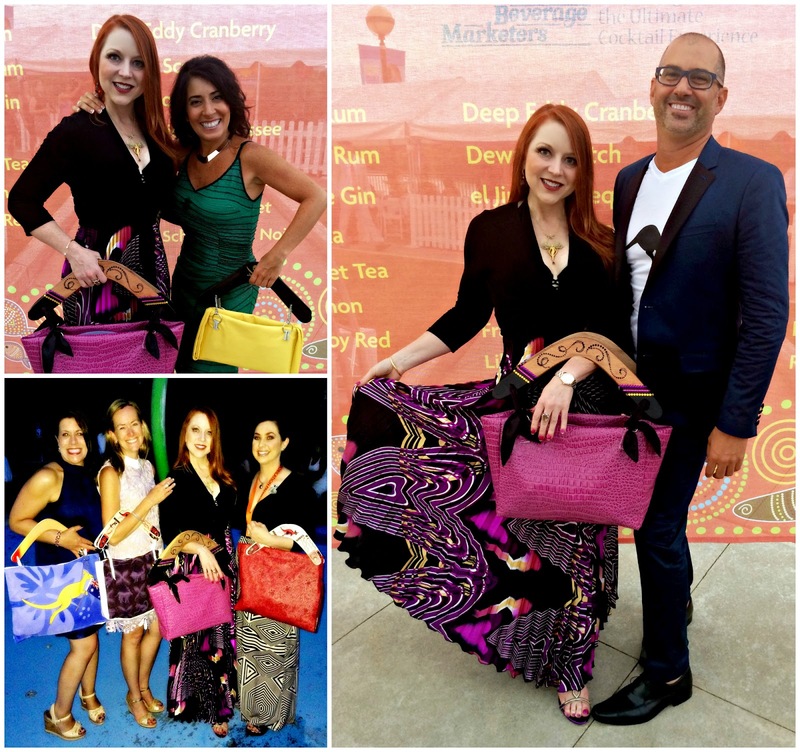 It was so much fun to consult on the design of Zoomerang Bags to coordinate with the dresses of a number of Enza's long-time clients. 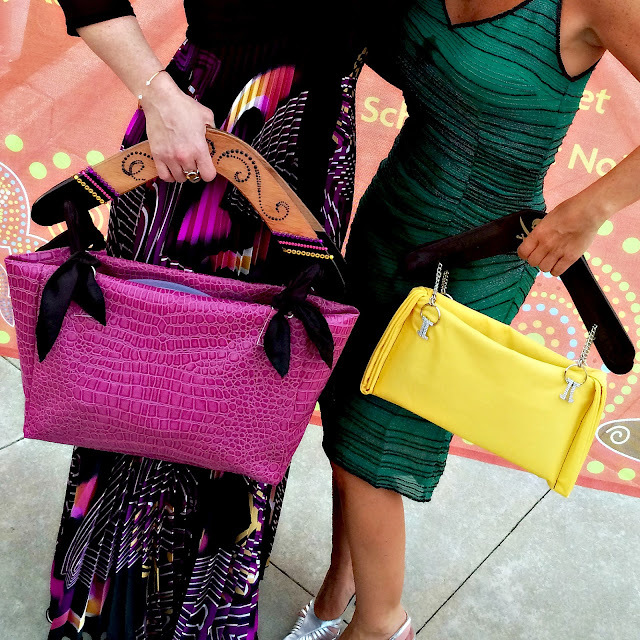 The bags were a hit, and I was stopped a half-dozen times within 15 minutes of arriving at the zoo by people who wanted a closer look at my own bedazzled boomerang handles. We've got even bigger plans in the works for next year's theme, which will also embrace philanthropy! 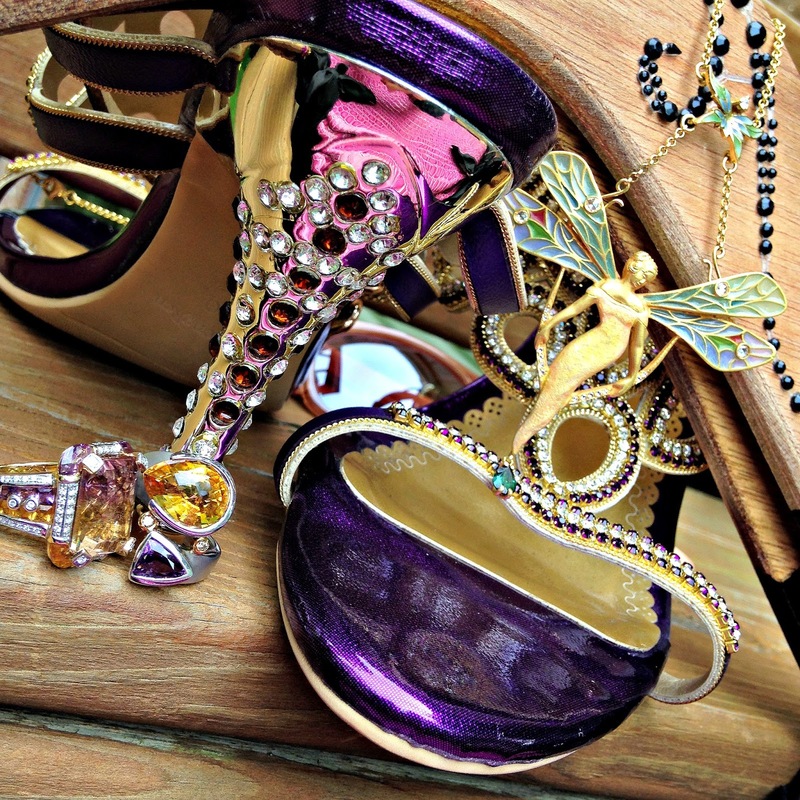 Even the heels of these Littleboutique shoes are crystal-encrusted, and nearly as sparkly as the ametrine, amethyst, and citrine rings that added a finishing touch to the whole ensemble. I haven't typically carried a bag to Zoobilation. I'm in constant motion all evening, roaming the entirety of the zoo and rarely sitting down. So, it was important that the design allow it to be easily carried while also juggling St. Elmo's shrimp cocktail, Blondie's Cookies, or a Fuzzy's Vodka based beverage. Yet, it needed to be big and bold enough to add a kitschy exclamation mark to my "Down Under" dress. Though it has nothing to do with the Zoobilation theme, this 18 karat gold plique a jour pendant, an estate piece from the early 1900s, may be my favorite part of the outfit, and it's definitely one of my favorite pieces of jewelry. The resulting design achieved those goals and also allowed me to stow an umbrella and a pair of flip flops in the event that standing, walking, and dancing for 6 hours in these irresistible purple and gold crystal encrusted sandals turned out to be a bad idea... (thankfully, the rain stayed away despite a dismal forecast and the sandals were remarkably comfortable, but it was still nice to have insurance on my arm). These women looked fantastic in their dresses selected by Tony - the coordinating Zoomerang Bags were the kitschy icing on the cake; My partner in crime and the creative genius behind the bags, himself, looks smashing in a kangaroo tee that lends the perfect amount of levity to an expertly tailored, modern navy tuxedo! It was fun to seek out and catch up with the other women who were toting their own Zoomerang Bags, especially those whose bags I helped design. Though each was incredibly unique, they were easy to spot even in the midst of 4000 revelers. The Aussies manning the orange carpet and roaming the grounds as "guides" for the evening were also uniformly appreciative of our theme-appropriate accents. Their food delivery was a perfected show of true class and every waiter was in sync with each other. If you are looking for awe inspiring event rooms for rent look no further then this place.